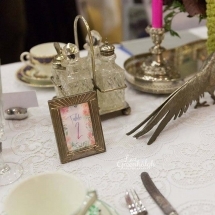 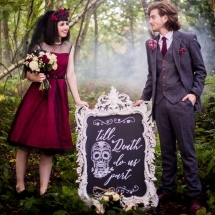 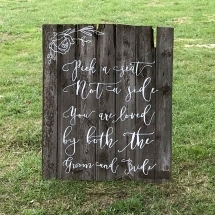 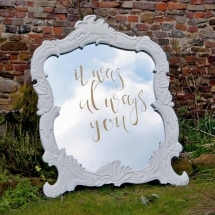 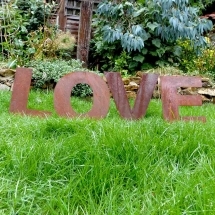 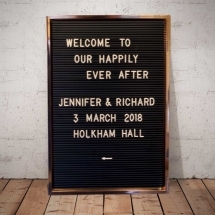 Wedding signage isn’t always the first detail a bride or groom to be will think about when it comes to props and decorations, but it’s a great opportunity to add a personal touch to your wedding day. 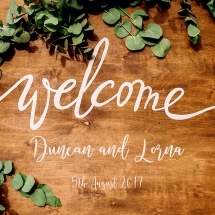 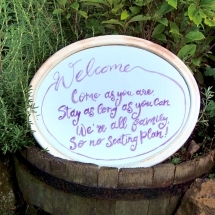 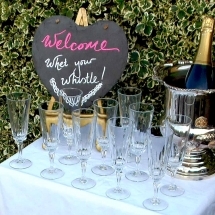 A hand-lettered welcome sign that lays out the order of the day, for example, can be customised with a hashtag for guests to use when sharing their own photos, and it’s really helpful for your guests too. 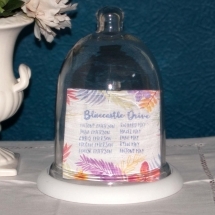 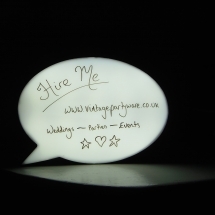 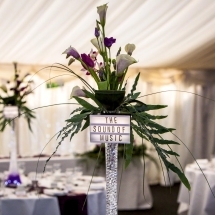 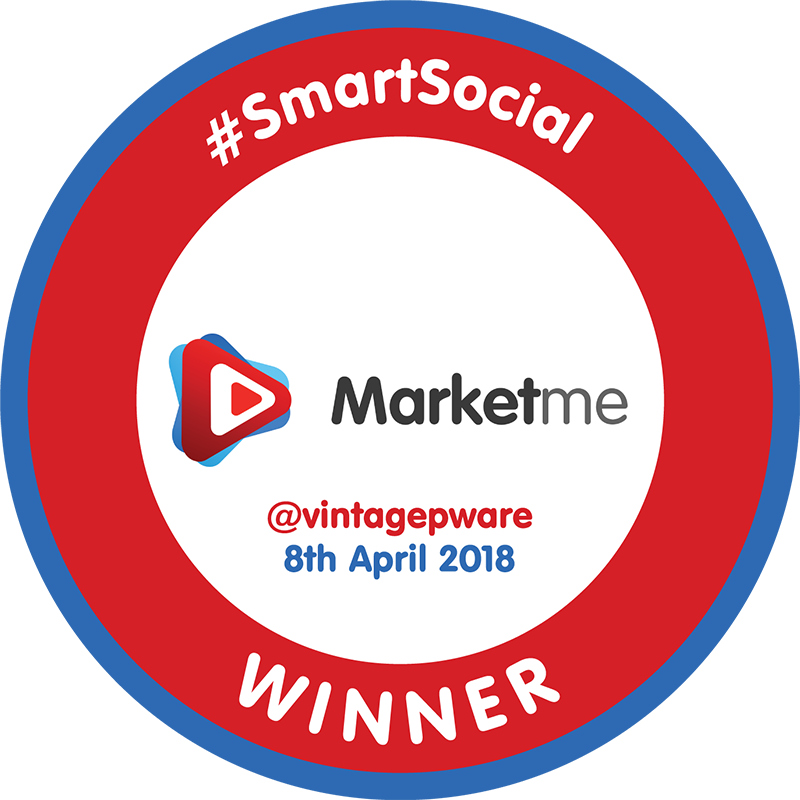 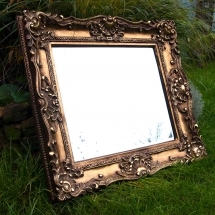 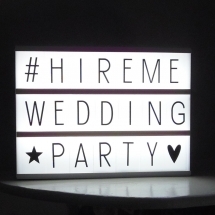 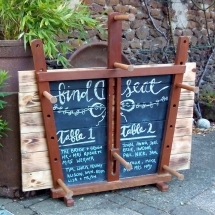 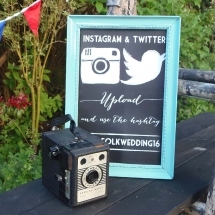 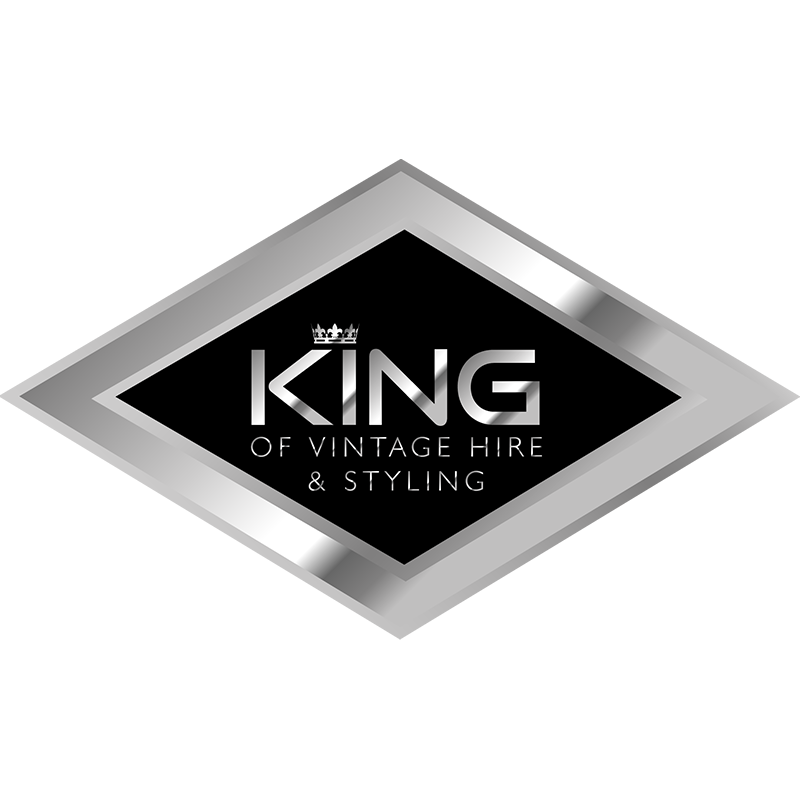 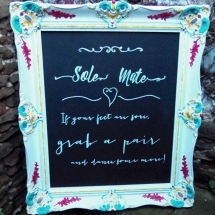 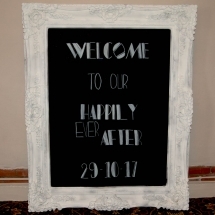 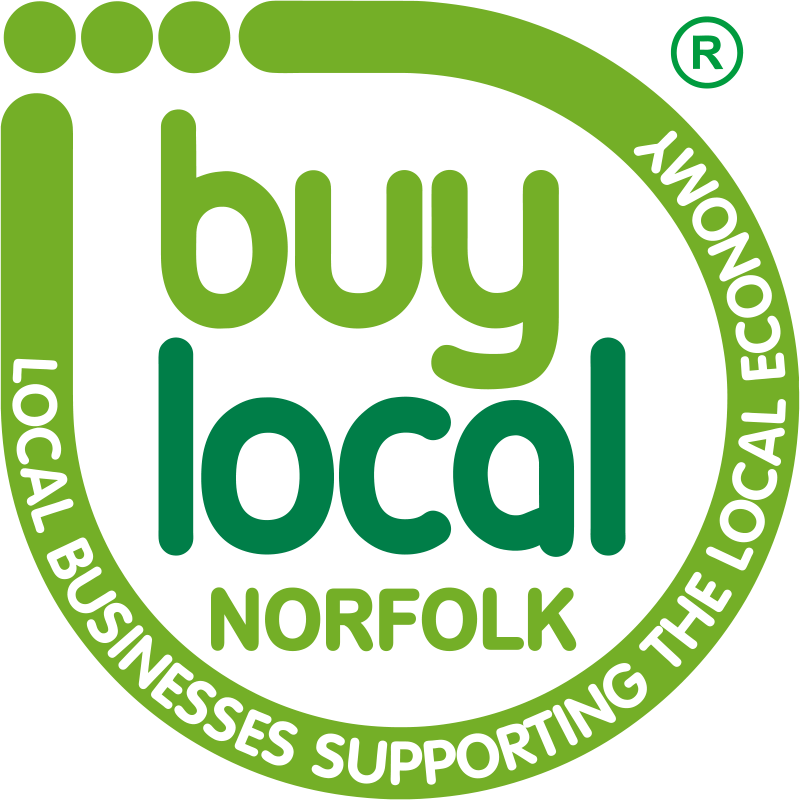 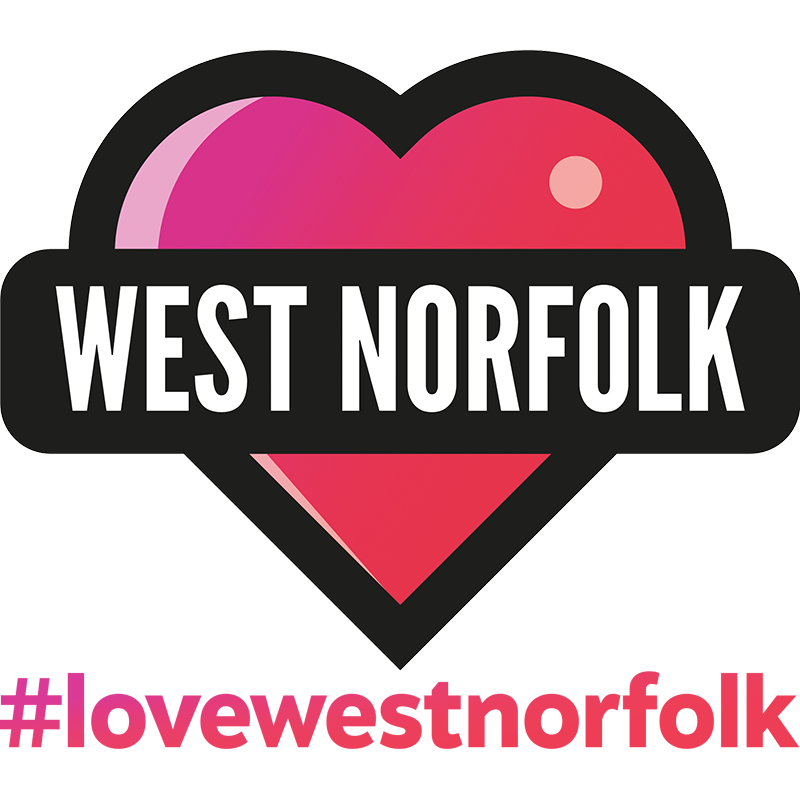 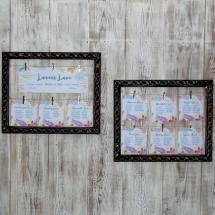 The same applies to wedding signage for food or menu signs, table plans, a photo booth area, the wedding favour table, the names of the signature cocktails at the bar, unplugged wedding signage, dance floor rules… you get the idea!